Are you buried in bed pillow options? The best selling bed pillows are primarily variations of traditional poly fiberfill pillows. Not coincidentally, these pillow types are also the cheapest options available. Unfortunately they’re not capable of providing you with the best rest you can get. 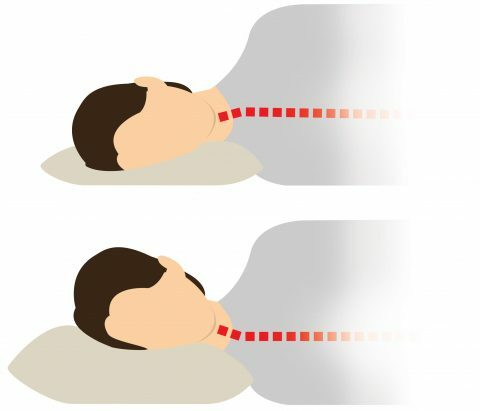 collapse under the weight of your head during the night, potentially causing an uncomfortable downward bend in your neck and spine. require consistent refluffing or readjustment to maintain their loft and support. absorb and retain body heat, making your pillow feel hot and humid. are not durable, requiring frequent replacement. It should come as no surprise that the best bed pillows aren’t the cheap ones! The best bed pillows will allow you to get the most out of your sleep. An intimate part of your daily routine is spent with your head and neck pressed into your pillow. If you’ve conceded to a crazy low price on a substandard pillow, you’ve compromised the quality of 1/3 of your life! All for just a few pennies in daily savings? Don’t do that! Given the frequency that you utilize this essential device, you should carefully consider the comfort the quality of rest that can provide you. If your pillow’s loft is incorrect, it is likely you will experience back and neck pain. What’s the best bed pillow loft? Loft? What’s loft? Loft refers to the height of the pillow. Your pillow’s loft determines how high your head is elevated off the surface of your mattress. 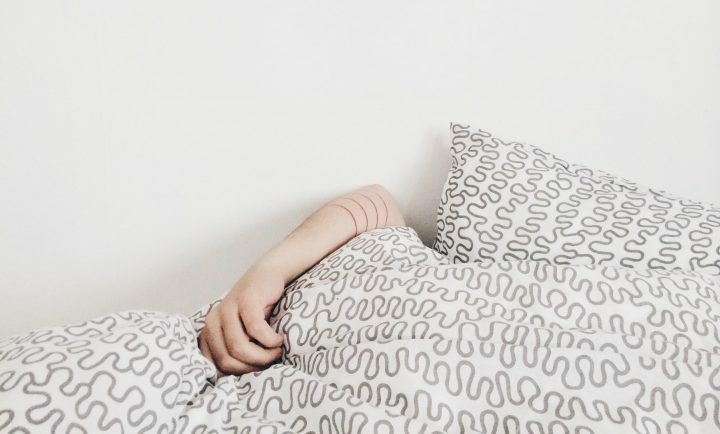 Your pillow’s job is to fill the space between your head and your mattress while keeping your body in a neutral sleeping position — your neck and back should be in a straight line without any upward or downward bends in your spine. Unnatural bends and twists in your spine can cause muscle strains and put pressure on nerves. Your spine is best off when it’s straight, so choosing the proper loft is important. Side sleepers will get the best rest on high loft bed pillows. Side sleepers are advised to use a pillow with more loft (thickness) than other pillow types. This is simply because there is more space to fill between your head and the mattress when on your side than when on your back or stomach. Stomach and back sleepers will prefer a low loft bed pillow. Many pillows are simply too thick for back and stomach sleepers. A thinner, low loft pillow type will properly elevate your head and neck. Adjustable bed pillows allow you to fine-tune the loft to your preference. With an adjustable pillow, it doesn’t matter if you’re a side, back or stomach sleeper; it will accommodate all sleep positions and body types. An adjustable pillow allows its fill to be added or removed so it can be dialed in to your personal preference. As long as the case has a zippered opening, you can add or remove whatever you want until you’ve perfected the pillow’s loft (thickness). What’s the best bed pillow filling? Your pillow’s filling defines its character. 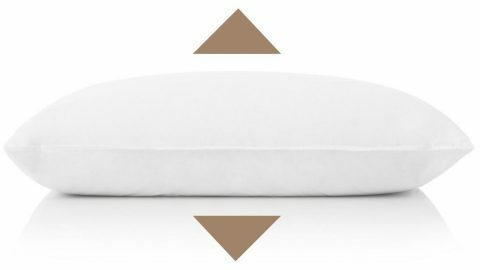 Depending on the type of fill and the quantity used, your pillow can be totally unique and appropriate to your preferences: soft, firm, supportive, low or high loft—it’s your choice. No single pillow filling type works for everyone. There are a few too many options, not all of them good. I’m not a fan of synthetic petroleum-based foam pillow filling. The all natural options are as good if not better and side-step all issues of toxicity and health hazards associated with synthetic filling. For that reason, I do not recommend any of the popular synthetic options like memory foam, poly foams/fiberfill or microbeads. Pillow filling is a pretty deep subject. 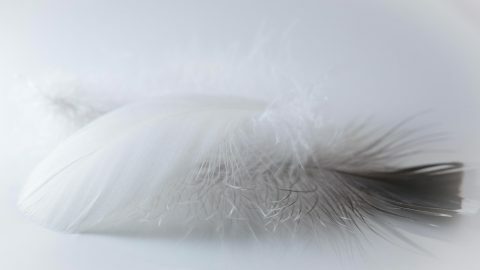 I’ve summarized a few of the best all natural bed pillow filling types above, but if you’d like a more in depth discussion, I’ve written another blog post, Pillow Filling Types Explained: What’s Best for Me? What’s the best hypoallergenic bed pillow? Hypoallergenic claims should be taken with a grain of salt. Unfortunately the definition of “hypoallergenic” is very vague; there is no regulation in the United States that defines or governs the use of the term. Thus hypoallergenic assertions can be made with impunity. If you’re experiencing an allergic reaction to a pillow that you’ve been using for awhile, chances are you’re allergic to dust mites, not the pillow itself. Dust mites are tiny organisms that live in the dust in your house and are one of the top five most common allergens. What’s the solution to dust mites? First, you should simply take care to keep your pillow clean. Wash you pillowcase or sham periodically so that the organic material left behind (hair, dead skin, oils etc) is removed. Additionally, you can use dust mite covers. These are generally vinyl or plastic covers that prevent foreign materials from getting inside your pillow. The drawback? These will prevent air from moving freely through your pillow, which can result in it retaining heat and being uncomfortable. What’s the best bed pillow fabric? We recommend organic cotton. Cotton is a terrific fiber for use in bedding; it’s soft, breathable and durable. Unfortunately non-organic cotton comes with a significant disadvantage: it is grown using some of the world’s most hazardous pesticides. It is best if your bed pillow’s outer fabric shell and pillow case are both made from organic cotton. Worth noting: If your pillow is filled with buckwheat hulls or another heavy filling, its fabric case and the stitched seams should be capable of retaining the fill without tearing. up to 70z per yard for heavy filling like buckwheat or millet. What’s the best bed pillow size? In most of the western hemisphere, we’re acclimated to rectangular 20″ pillows, while in other parts of the world bed pillows in smaller sizes are more commonplace and established. In the US, the bedding industry has refined and standardized bed pillow dimensions to coordinate with the most popular mattress sizes available. small size – 14×20″ The small size bed pillows are more limited in availability and are geared primarily to a specialty market. standard size – 20×26″ This popular dimension is a versatile purchase that is large enough to accommodate most. One standard size pillow fits a twin bed, while two can fit on a queen or full size bed. A king size bed will fit three standard size bed pillows. queen size bed pillow – 20×30″ Two queen size bed pillows will fit precisely on a queen size (60×80″) mattress. king size bed pillow – 20×36″ Two king size bed pillows will on, you guessed it, a king size (76×80″) mattress. Most people simply purchase the size that fits their bed and, in most circumstances, that’s fine. However, keep in mind that some pillow filling types like memory foam or buckwheat hulls are quite heavy compared to traditional pillow filling like down. Thus, a smaller pillow can be more appropriate for someone with a smaller stature or for those who are inclined to move their pillow around. Worth noting: I’m willing to sacrifice the bedroom’s aesthetics for comfort any day, but my wife isn’t particularly thrilled when her pillow-testing husband brings home new odd-sized pillows. Unfortunately, you simply cannot get the variety of fabrics and patterns available in some of the less popular dimensions. The best bed pillows are made to last. Price is, of course, a valid concern for the discerning shopper. It’s easy to substitute a quality product for the cheaper, substandard alternative. Unfortunately, the cheapest option usually isn’t the most cost-effective. If you’re price-minded, remember that the initial cost of your pillow can be deceiving. It’s easy for consumers to overlook the amount of money they pour into pillows. They simply grab the cheap pillows that are available at the local department store and replace them when needed (often). The fact is that the frequency of replacement is what really determines how much you’re spending on pillows for you and your family. Spending a little more now on a well-made product can save you in the long run if it lasts several years. And the best bed pillows are …? Above all, your pillow needs to be comfortable. Trust your instincts and don’t get caught up in the misleading marketing literature. Try different pillow types and see what works for you! There really is no substitute for literally “sleeping on it.” Squeezing a pillow inside plastic packaging at the store isn’t the way to find your ideal pillow. You really need to test drive them in your own bed if possible. Check the manufacturer’s return policy and make sure that you’re able to try it for at least a week. If it’s not right for you, toss it back in the box and return it. You spend a third of your life with your head resting on a pillow, so a little shopping and experimentation is absolutely worth it. My Recommendation: Try a Hullo Buckwheat Pillow for 60 Nights. Try a Hullo buckwheat pillow for 60 nights. If you don’t care for it, just ship it back to us and we’ll refund the purchase price. Don’t take my word for it, read the reviews our customers have posted. Try something totally different for 60 nights: a Hullo buckwheat pillow. If it's not for you, just ship it back to us for a refund. There are always pros and cons. But what you share here is really useful. Finding the best pillow usually starts with looking at your sleeping position. I think there’s no best pillow for everyone. The right pillow for you will provide a generalized sense of comfort that will enable you to wake up without cricks or pains.